During an attack on a pack of Iguanodon, an egg is separated and ends up with the possession of a group of lemurs. The lemurs care for this egg and the young creature born from it, which they call Aladar. When a meteor shower hits earth, Aladar and his family must leave their homeland. Away from home and as close to danger as they have ever been, they meet up with a huge group of dinosaurs, led by Kron and Bruton. All together they are trying to reach the nesting grounds, but it's not going to be easy. Long before humans appeared on the planet, dinosaurs ruled the earth. On a little off-coast island, a clan of lemurs finds a dinosaur egg, hatching. Since there are no parents, the lemurs take care of the newborn, Aladar. Years later, a medium meteor goes down close to the island and the shockwave forces its inhabitants to flee to the continent. 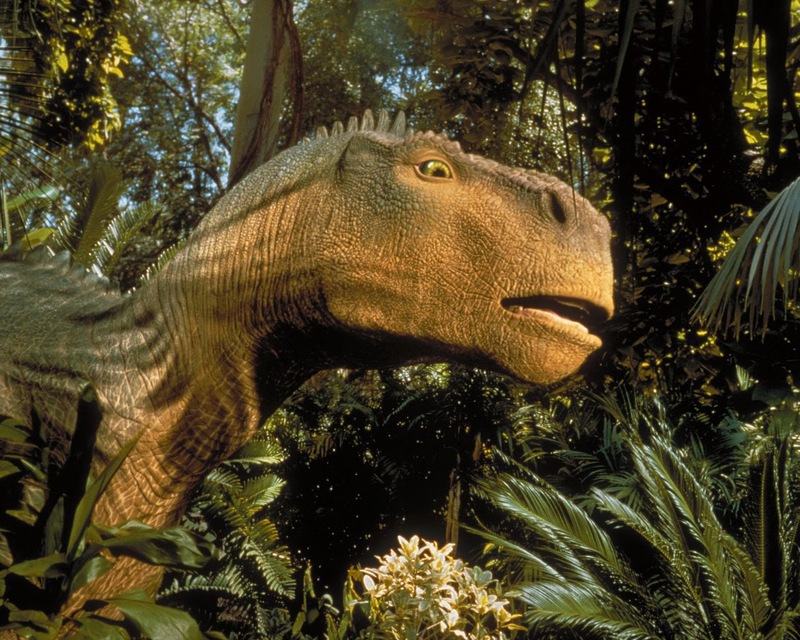 There, Aladar and his family meet other dinosaurs for the first time as well as real dangers. The destruction caused by the meteor here has also forced a herd of different herbivores to move to a remote valley that can provide food and protection against the carnivorous predators following after. Since Aladar grew up with a different understanding of the ways of the world, his way of helping others first isn't accepted within the herd, but soon it is proven that reason may be better than panic. Dinosaur is set in the twilight of the dinosaurs, when the killer comet arrives, and deals with the legacy they leave for the emerging mammals. One dinosaur who had been raised by Lemurs becomes a sort of saurian Moses and leads the Lemurs to safety after the comet ends the age when his own kind ruled the earth.